Design & Development is a large part of every project we are involved in. All of our setting out team come from a background of Specialist Joinery & Architectural metalwork and so when presented with an architects drawing know exactly how to take that drawing and turn it into working drawings for manufacture. All of this is done using the most up to date computer design tools and according to CDM regulations. The design department works closely with our in house document controller to ensure the flow of correct information and all drawings are approved by the architect before being sent for manufacture. This may happen via an online system such as Conject(BIW), Aconex or Skandocs or simply via email. We listen to your ideas and aspirations and with these develop a design scheme for your specific requirements. Our experienced designers draw on a wealth of knowledge to produce schemes that are both imaginative and practical. Using the most up to date computer design tools we are able to generate full colour plans, models and renderings for your consideration, working with you, to develop and improve the design, to meet your needs. Our designers are equipped to provide solutions for your inquiry be it one showcase or the entire roll out of a new brand. For more information about our joinery division and some of the projects we have completed please download our joinery brochure. Or for more information about our prestige shopfitting services please download a brochure here. The Machine Shop is fully equipped with state of the art machinery using CAD-CAM technology to machine exactly what our design & development department has drawn. 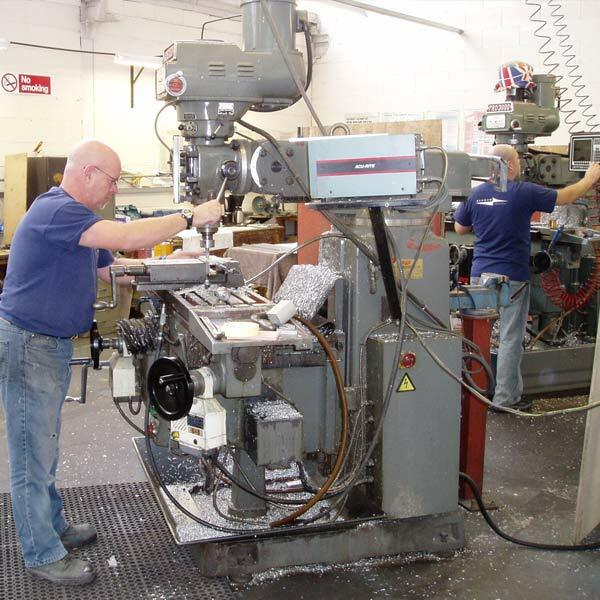 However we still believe in the skill of the man behind the machine, that’s why all our Machinists are time served professionals all fully trained and having served a full apprenticeship. We believe our Machine Shop has the right blend of technology and traditional skill and craftsmanship to deliver the right components efficiently and effectively into our Joinery workshop for assembly. The craftsmen of our Joinery Workshop have the skill and experience necessary to take the components produced by the machine shop and the design drawings produced by the design team and turn that design into reality, time and time again. Working regularly for blue chip clients our joiners know that only perfection will do, and they always deliver. 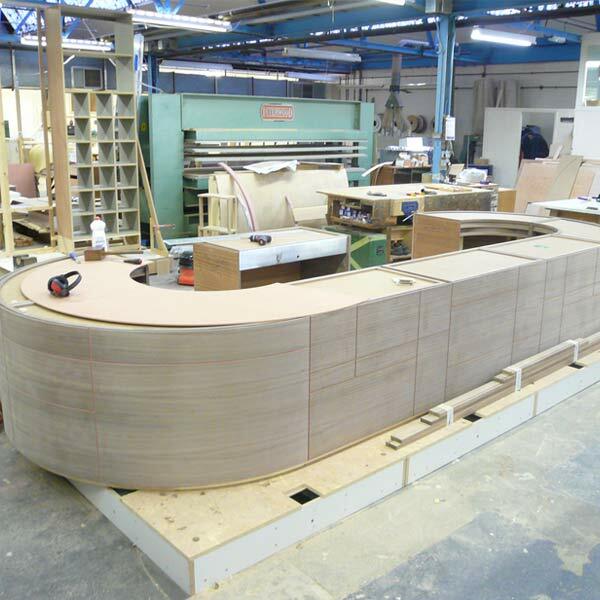 Taking components made from Wood, Metal, Glass, Man Made Laminates & Solid Surfaces our team bring them together to produce the finished article. 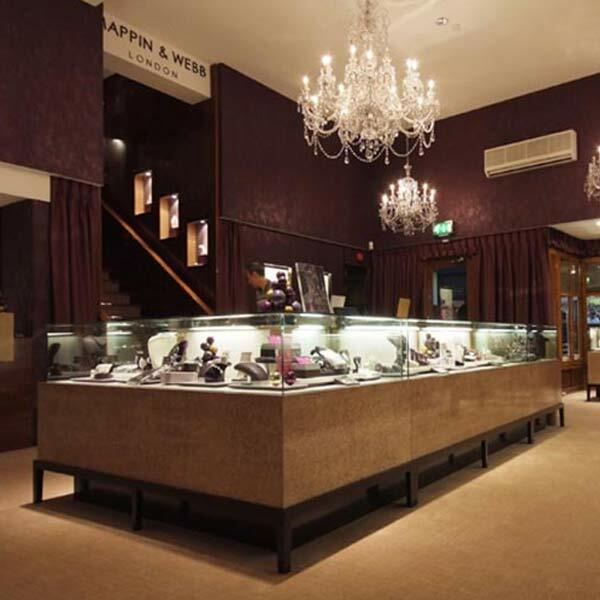 We have carried Jewellery Fitout projects for some of the biggest and most well known Jewellers in the World, in outlets all over the UK and Ireland. Customer satisfaction is paramount and for over 60 years the company’s quality of service has been recognised by its ever increasing number of clients within the high class retail sector. These clients include Asprey, Chatila, Garrards, Goldsmiths, Mappin & Webb, Mikimoto, Nicholas James, Wartski, Watches of Switzerland and many more….. The attention to detail throughout each project is a key factor in why such clients come back to Benbow again and again. 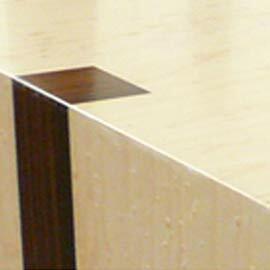 Pride of workmanship and attention to detail are products of a trained and experienced workforce. All of the company’s craftsmen are qualified in their field and additional training is carried out as new technologies are embraced. Material selection is critical and the company’s craftsmen have many years experience working in all types including Hardwood, Veneer, Metals (Brass, Bronze, Stainless Steel etc), Stones (Onyx, Marble etc), Fabrics, Leather and Glass. 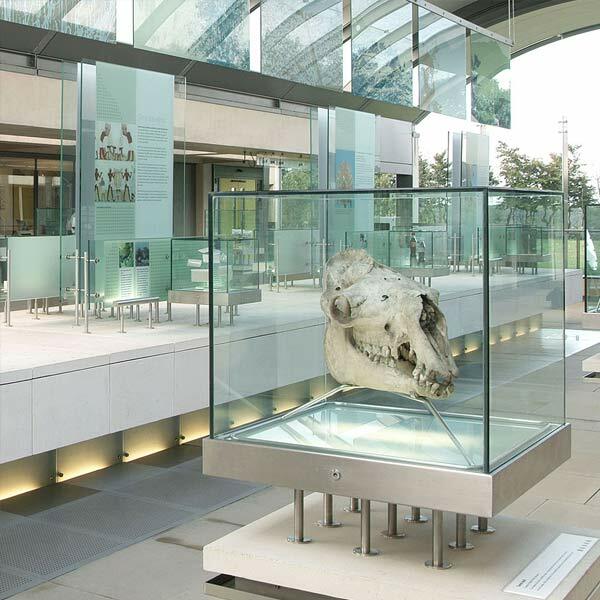 Our Museum Fitout department has over 30 years experience working for some of the biggest Museums in the UK these include the V & A Museum, Sir John Soanes Museum, The Millenium Seed Bank, Tower of London, Royal Albert Memorial Museum, Horniman Museum, Mary Rose Museum, John Rylands Library, National Maritime Museum, and many more…. Our project team have experience with every step of the process from the early value engineering & budgeting stage through to design & development and then manufacture and testing. With all bespoke display cases & Architectural Metalwork manufactured and tested in our factory prior to the installation phase of the projects, including lighting, door locking, air change testing, internal shelving solutions, artefact mounting etc. 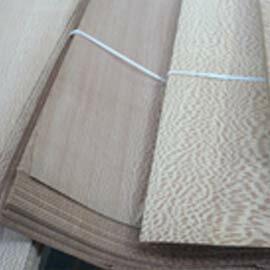 In House Veneer Department ensures strict quality control, greater flexibility, faster production and operational cost savings. We offer advice to clients, architects and interior designers on the veneer selection; be they a nominated source or one of our own approved suppliers. We enjoy successful professional relationships with several of the UK’s largest veneer supplier who all understand our need for not only the highest quality veneers but also veneers from F.S.C./P.E.F.C. sustainable sources. We have two large dedicated Spray Shops with additional drying and prep areas to spray all the popular paint & polish finishes including Acid Catalysed Lacquer and Polyurethane Lacquer. These finishes are expertly applied in Matt, Satin or Gloss in our spray shops before being transported to our drying room. With all the relevant facilities and an experienced knowledgeable finishing team, we know we can produce the highest quality finish every time. Our spray shops have all the relevant safety features in place and regularly serviced and our comittment to maintaining the environment includes all of the spray shop waste being collected and taken to a recycling centre.